One of the more common screw-ups in website redesign is when you totally change everything in the belief that you’re improving your website. And then you find out that your website, which was previously in the first page of Google results of the most common keywords, is no longer there. It may even be relegated to the third page of results, which is the secluded backwoods in Google commercial real estate. When this happens, your SEO traffic will drop precipitously. Get an SEO specialist on board right away. 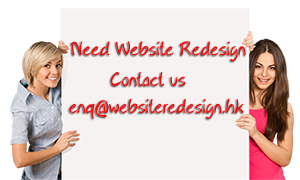 When it comes to SEO, your SEO specialist should be right there when the web designer comes up with a new design. The SEO elements should be present right from the start, rather than implemented after the web redesign has been completed. The SEO requirements may actually need some basic changes, so it’s better to make those changes in the planning stage. This tells you exactly what’s happening with your current SEO. Its current strengths and weaknesses can be identified, so you know which to retain and improve. It gives you a blue print of what to do SEO-wise for your new website redesign. Don’t forget about on-page optimization. Your original webpages may have been optimized already, and those elements must be included in the new pages as well. Keep the same URL structure as the original. This redirects visitors to the old URL to the new URL. It enables the PageRank of the old pages to pass to the new ones. You can then maintain your search equity. Look at it this way. Your old URL was already trusted by Google. That’s the search equity. When you have the new URL, you then have to start in the beginning to earn Google’s trust. By using the redirects, you make use of that trust and pass it on to the new page. There’s also the bookmark equity. This is when a user bookmarks a page on your site. Now when they use that bookmark and you don’t have a redirect, it will generate a “page not found” result. But a redirect leads your user to the new page instead. These are like navigational guides for search engines. It’s a crucial SEO element that must always be included in any website redesign. Having your SEO traffic fall to disastrous levels is one of the potential pitfalls of web redesign. Plan for it beforehand, and you may not just minimize the damage. You may even improve your SEO.